This detailed reference work provides a comprehensive and wide-ranging introduction to classical rhetoric as it was practised in the hellenistic period (330 B.C.-A.D.400). 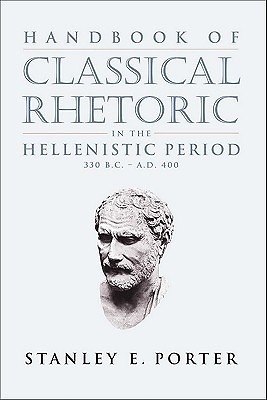 In three sections, it provides a thorough description and analysis of the standard categories of thought, terminology, and theoretical and historical developments of classical rhetoric, as well as providing useful bibliographies. The three sections of essays define the major categories of rhetoric, analyze rhetorical practice according to genre of writing, and treat individual writers in the rhetorical tradition. 27 international scholars from a wide range of backgrounds have contributed to this high-quality publication, which provides an state-of-teh-art overview of the current research and will from the basis of future explorations. Students of the rhetoric of the New Testament, the hellenistic period, the classical period and the patristic era will all find this volume useful and insightful, as will those with general interests in these subjects. This publication has also been published in hardback (no longer available).